If I Might Interject: What Happened to Seeking Truth? Being on Facebook and Twitter over the past few days have been interesting—in the sense of the old Chinese curse, May You Live in Interesting Times. Witnessing the fallout of the Trump-Putin meeting and the continual sniping against Pope Francis, I’m struck by the fact that many reach a conclusion without having all the facts, and make claims that are clearly in error. I don’t have any interest in rehashing or refuting the social media arguments in this article. But I am interested in how little respect people have for seeking out the truth and living in accord with it. During his trial, Socrates could point out that the person who was aware of the fact that he was ignorant knew more than the person who was ignorant but thought he knew the truth. Aristotle could define truth as saying of what is that it is, and of what is not that it is not. Both of these ancient Greeks point to the truth that we Christians ought to know: That we can never stand on what we think we know. We must always ask questions about our assumptions and, if we find them to be false, stop living according to them. To be clear, I am not advocating some sort of agnosticism which says we must question our Christian faith. Rather I am calling for Christians to investigate whether what they think is Christianity is actually what Christians are called to be. As a Catholic, I believe that the Church teaches with authority given to her by The Lord Himself. What the Church binds or looses on Earth is bound or loosed in Heaven (Matthew 16:19, 18:18). So, I hold that the search for truth does not mean that we can deny the teaching of the Church. What it does mean is we must investigate whether our interpretation of Church teaching is compatible with what the Church intends to teach. The judge of whether an interpretation is correct is the magisterium—which is the Pope and the bishops in communion with him in every age. If a pundit or a member of the clergy takes a stance at odds with the Pope and the bishops in communion with him, that should be a red flag telling us that we have an obligation to question the one saying the Pope and bishops are wrong. Yes, when the Pope has no intention to teach (press conference, governing the Vatican City, etc), he can be mistaken. But when he intends to teach—even if not ex cathedra—we have an obligation to give religious submission of intellect and will. I find it tragic that many Catholics can think they are being faithful while refusing to consider the elements of Church teaching they find inconvenient. Catholics who identify with the political “left” [†] often rebel on sexual morality and abortion, while those identifying with the political “right” often downplay Catholic teaching on social justice. Both groups are wrong. Whether they knowingly reject Church teaching or are ignorant about it (I leave this discernment to the individual’s confessor), they are not speaking the truth when they claim they are right and the Church is wrong. Speaking at the level of the individual believer, we have an obligation to investigate whether our personal preferences are really compatible with Christianity. 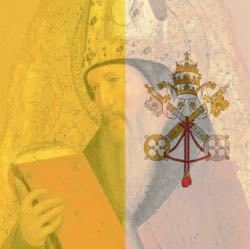 We do that by looking to Church teaching and to the witness of the magisterium today to make sure that our reading of past documents is compatible with how the magisterium understands it. If we think “The Pope is a liberal/conservative!” then we must take that as a warning sign that our understanding has gone wrong. Some readers may correctly argue that Church history shows we have had bishops falling into error. They can also argue that we have had morally bad Popes. They can even argue that certain Popes were suspected of personally holding error. But none of these facts can be used to deny the authority of the Pope and bishops in communion with him when they intend to teach. Perhaps, in recovering the obligation to seek the truth, that is a good place to start. [†] I dislike using “Left” and “Right” in relationship to Church teaching because it makes Church teaching seem “partisan.” Unfortunately, certain errors among Catholics line up with their political views.